I am so excited to be doing a guest post for Kerry and it is such an honour to be posting here. A while ago Kerry nominated me for a Liebster award and she asked what was my favourite polish colour and what was my favourite type of nail art. My answers were Pink and Stamping. Of course Kerry knew those were going to be my answers 😉 I decided to incorporate the two for this post today. When I first saw the colours for this month’s tri-polish challenge – yellow, orange and green – I was pretty unsure and I struggled to think of cool ideas. But this is proof that sometimes it works to just TRY something, because I love the design I have for you today! I started with a sponged gradient of my 3 colours for the month – Essence Colour & Go Flashy Pumpkin, Wanna be your Sunshine, and We Rock the Green. 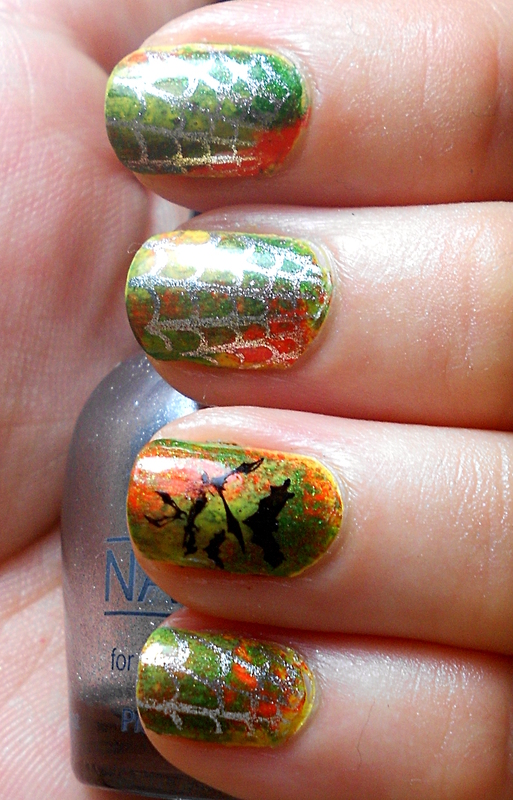 Then I took out my Essence stampy polishes in Stamp me! White and Stamp me! Black and had fun with my new plate m66 from the Born Pretty Store. A few days ago I was excited to finally receive my first ever Born Pretty Store parcel, after a long wait with shipping and customs delays. It was filled with so many goodies I didn’t know what to try first! But since I’ve been lusting after holo polishes, the first thing to go on my nails was a holo. 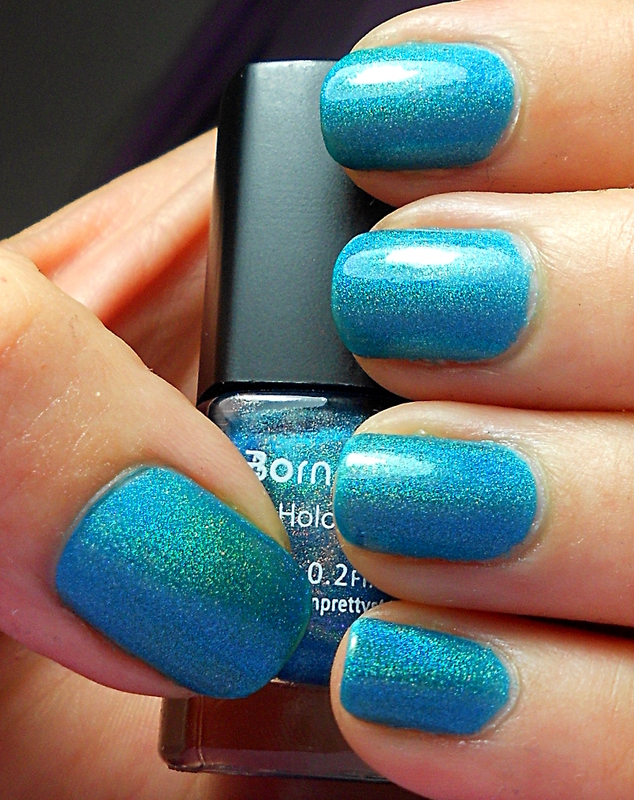 This is Born Pretty Store Holo #10. Isn’t is beautiful? It’s a lovely cyan blue with scattered holo – and do you see how it pulls a little green on my thumb? Love it! This is 2 coats without a topcoat. Today is the second Tri-polish challenge day for October. This month’s colours are yellow, green and orange. And that’s what I did! My first ever needle drag! This is one of those techniques that for some reason, I didn’t think I’d like, so I put off trying it for ages. Now that I’ve tried it, I just might be hooked! 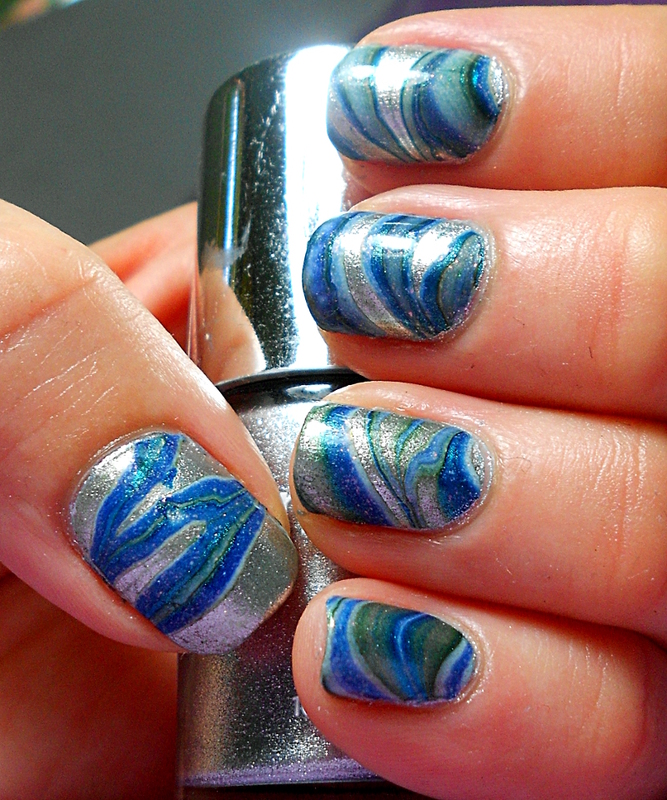 It’s amazingly easy and makes some really pretty nail art! As a new blogger I am constantly looking for ideas both for my nail art and for my blog itself. 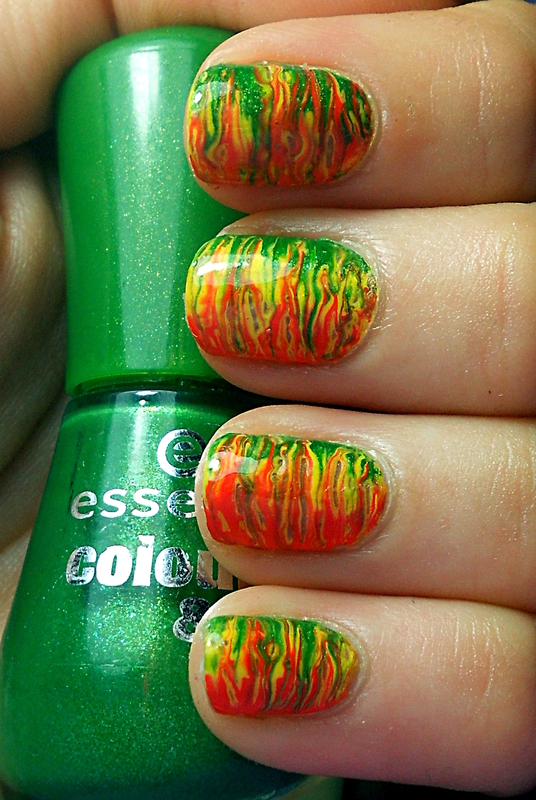 Last month, I got some inspiration for nail art I wouldn’t usually think of by taking part in the 31 day challenge. Once that was over, I got to thinking about what new things I could do. Last week I started a ‘Tape Mani Monday’ feature where I get to use one of my favourite techniques every week and it keeps me in check to be sure I’m creating some decent nail art. The next thing I thought of was guest posts. I love discovering new blogs when I see a guest post and it also means YOU get to see a different style and perhaps some nail art I’ve never tried before! So, I got in contact with a few different South African bloggers and they agreed to guest post for me! Tyler from Polished Tickles and Beauty was the first to send me some awesome nail art, so that’s what I am sharing with you today. 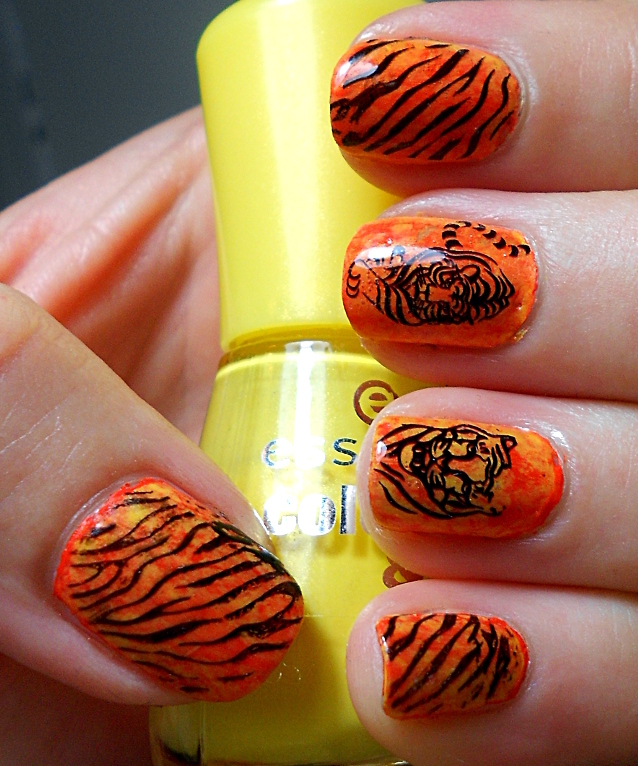 October Tri-polish challenge Part 1: Tigers! I almost skipped the tri-polish challenge this month because I mistakenly thought the first posts had to be up last week and I hadn’t done anything yet. Luckily I was mistaken so I had a chance to put something together! So another Monday has rolled around… UGH! The good news is I have another manicure which I love to show you, once again using my trusty striping tape. Ta-daaa! 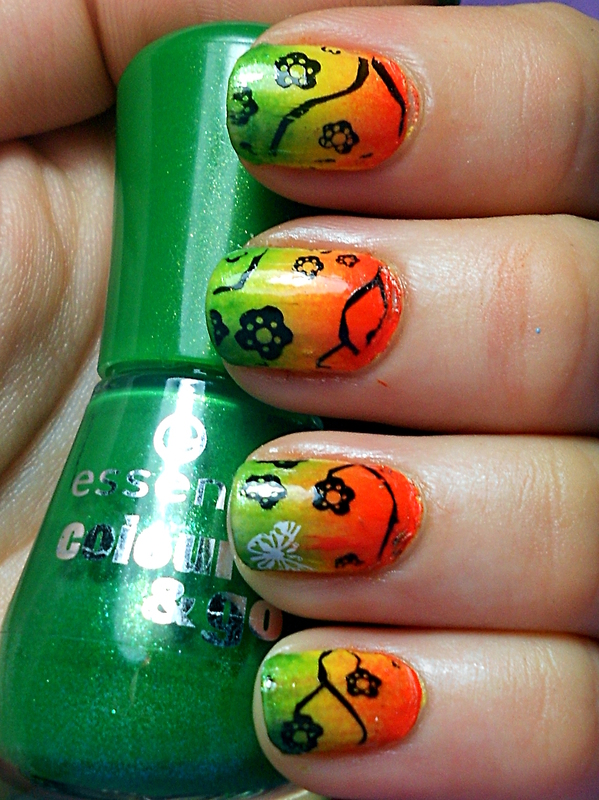 I loved wearing this on my nails! 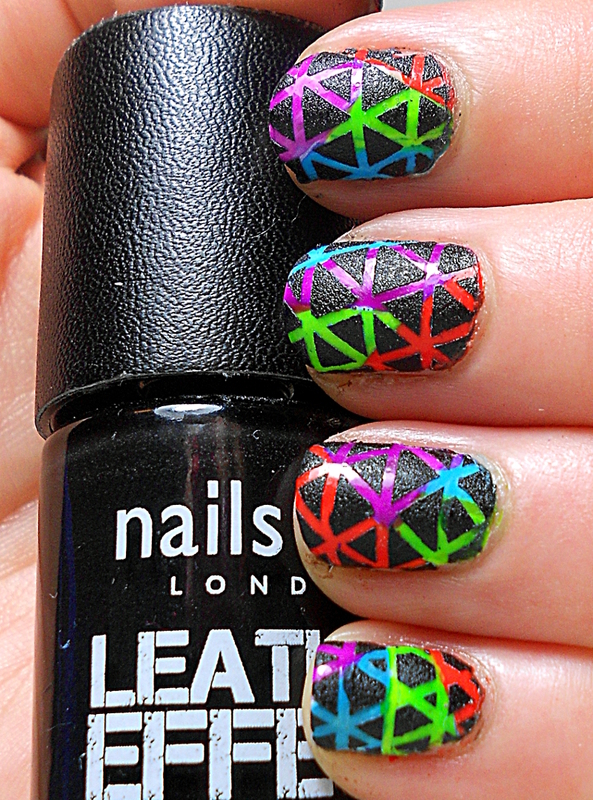 I started off by creating more-or-less triangular shapes using some neon colours – Nails Inc Kensington Park Road (blue) and Holland Park (purple), L.A. Colors Color Craze in Mint – although it’s a neon light green and not really mint at all – and Essence Colour & Go in Flashy Pumpkin.